An Al-Qaeda suspect plotted to poison tourists' water supplies to avenge the killing of Osama bin Laden, a Spanish judge said Saturday as he remanded the man in custody. 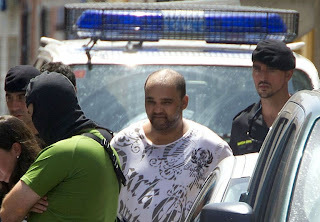 Abdellatif Aoulad Chiba, a 36-year-old Moroccan, had gone so far as to obtain manuals on poisons, toxins and explosives on jihadist websites, the judge said. Police swooped soon after the suspect appeared to be saying farewell to his wife.